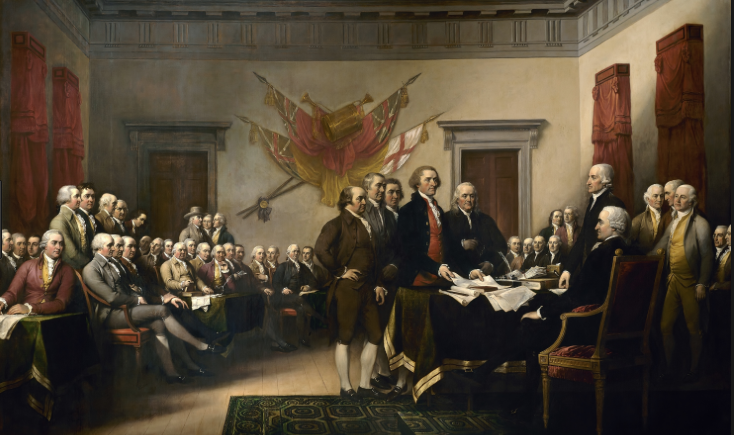 Tom Del Beccaro: What Would Our Founding Fathers Think of America Today? What would Washington, Madison, Jefferson and the other Founders think of America today? In Washington DC today, of course, they argue over the size of gov’t programs of great size. Every aspect of our lives is now regulated and our politicians, once far more private citizen than gov’t employee, become rich in office and even richer lobbying gov’t after. It is nearly forgotten that Washington, Madison, Monroe and Jefferson died all but broke founding a government, not making money from the endeavor. As for the size of government, it’s difficult to even contemplate the size of the governments that our Founders knew and constructed. Before we can, it is so very important to understand how much our Founders knew of Greek and Roman history and their wariness of large and centralized governmentt. They read and quoted such historians as Plutarch, Demosthenes and Sullas, who chronicled the history of Rome and Greece – their rise and fall. Because of that knowledge, our Founders understood that as civilizations rise and fall, unlimited gov’ts collapse under their own weight riddled with debt and lost freedoms. They endeavored to avoid just that for the great civilization they wanted for America. So, our governments, in 1800, were spending the equivalent of just 2% of the economy. Jefferson, when he became President, was obsessed with paying off the debt of gov’t incurred in aid of the Revolution and the Founding of our federal government. It would take until Andrew Jackson in the 1830s to complete that task of getting rid of the national debt. It would be the last time. Jefferson, Madison and Monroe refused to fund road building because it wasn’t an “enumerated power.” Today, of course, our national debt is over $19 trillion (larger than our gross national product) with over $130 trillion in unfunded obligations – and we not only fund road building but give people money to make and buy cars. Our Founders also saw the power of centralized government in the form of King George – a king who was judge, jury and executioner. He ordered their trade stopped, seized their ships and quartered soldiers in their homes. The richest colonist of the time, John Hancock, had his home – which sat above the Boston harbor – seized by the English and made a general’s headquarters. Today, government bureaucrats outnumber King George and they seize our assets nonetheless, surveil our homes and decide our healthcare from afar – with diminishing recourse available to the rest of us. Where once, Patrick Henry asked for Liberty or death, over a tax that was less than a penny, we dangerously accept gov’ts that tax some people, all combined, over 63% of their income in places in California. So, what would our Founder’s think of us today? First, they would, of course, be astonished. They would see a vast American empire they contemplated if not in such detail. It was Washington, who wanted his contemporaries to understand the potential of colonists thinking of a unified America. Their pride, however, would be momentary. What the likes of a George Washington would think most of all about America today would be – that he failed us. Jefferson and many of the others knew that “The natural progress of things is for the government to gain ground and for liberty to yield.” They would be so very sad that they couldn’t have done a better job to forestall what, in their hearts, they knew was all but inevitable – but which they still would never have wanted for their America. They were selfless in the Classical sense, not just statesman of their time – but of all time. Please enjoy your 4th safely. Tom Del Beccaro is a contributor for Forbes and the former Chairman of the California Republican Party. Tom is publisher of PoliticalVanguard.com, author of The Divided Era, The New Conservative Paradigm 1st Ed. & 2Ed., as well as a frequent talk radio and television commentator. Tom has appeared on Fox Business News and the Wall Street Journal’s Opinion Journal, as well as TV throughout California. For the last six years, Tom has made over 125 radio appearances a year across the country, including California, New York, North Carolina, Alabama, Georgia, Colorado, and national shows such as Lars Larson and the Dennis Prager Show.